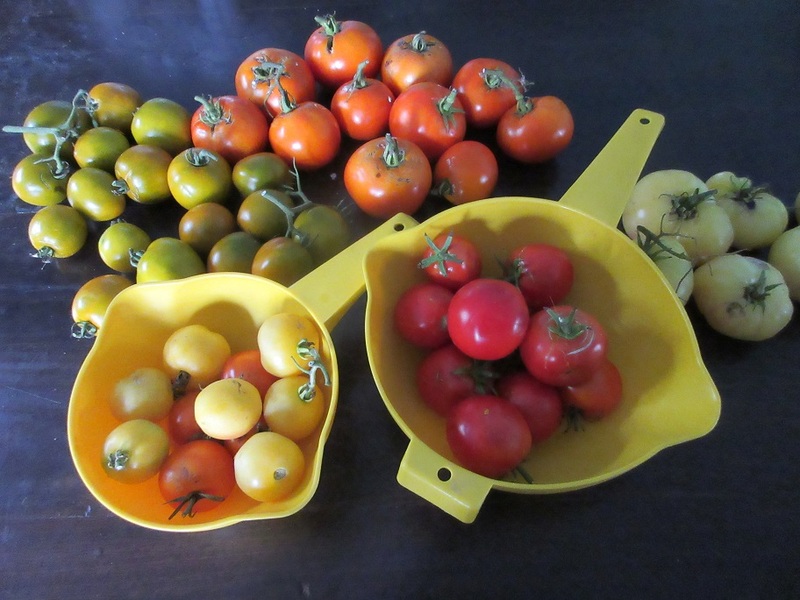 Tomatoes – the pride, and bane, of any gardner. While not all the varieties of tomatoes start being ripe at the same time, there is a point in which they are all ripe at the same time. Megan cannot eat tomatoes in any form, I like them in a few choice ways, but do not ask me to eat a tomato as a tomato, sliced with pepper and salt, YUCK! But Jon loves to eat tomatoes, in almost any form, and any kind of tomato. 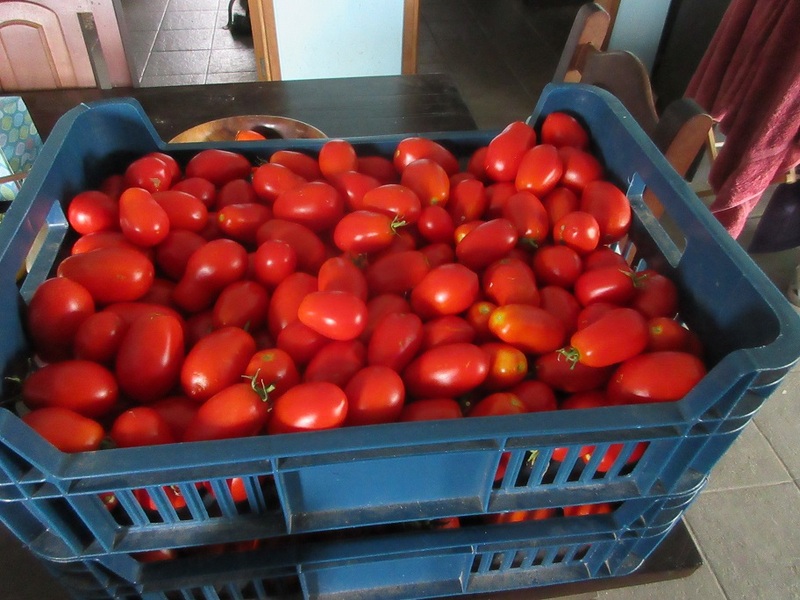 These are the Roma tomatoes that I cook into tomato paste. I wash, slice, cook for a long time on simmer to get rid of most of the liquid, then blend to eliminate the skins, cook some more, then put the sauce in jars. The jars are stacked three deep. 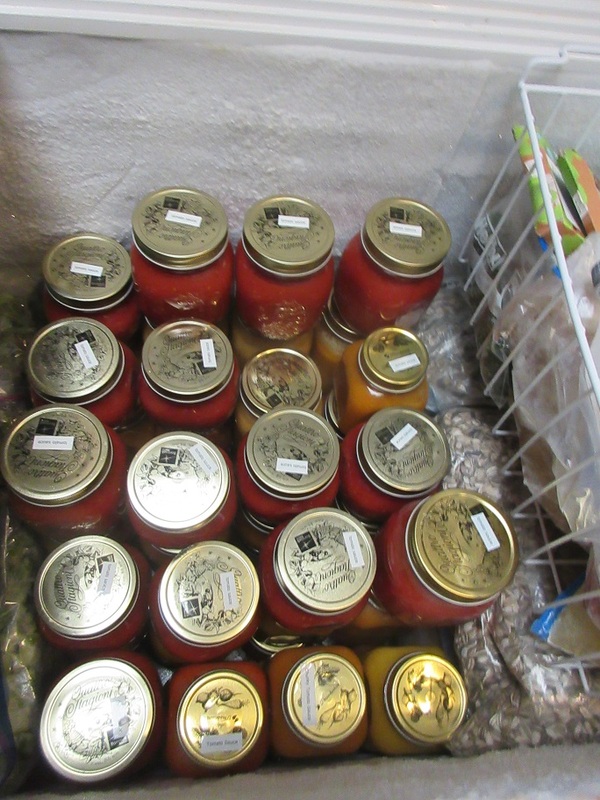 We have a freezer full of a years supply of tomato sauce. One less thing to buy at the grocery store. 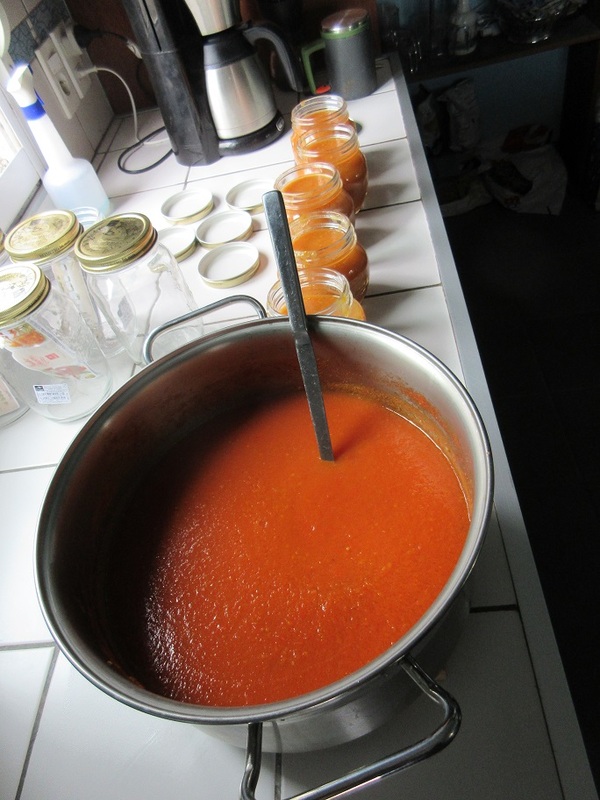 Next year’s plan – less variety of tomatoes and canning equipment.